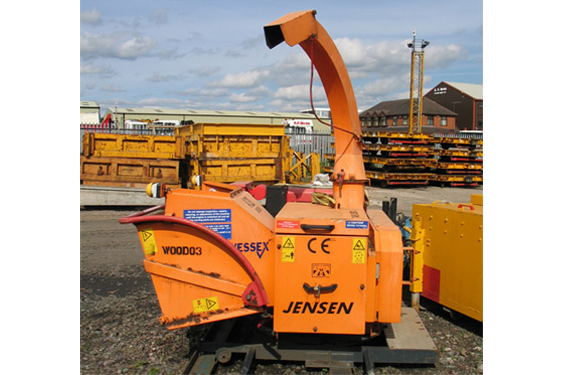 Jensen Wood Chipper « A.P. Webb Plant Hire Ltd.
Diesel powered tree chipper adapted to enable it to be twist locked onto low bed rail trailers. Fitted with adjustable chute to blow chips where required. It has a powerful engine capable of handling and chipping trees up to ten inches in diameter.